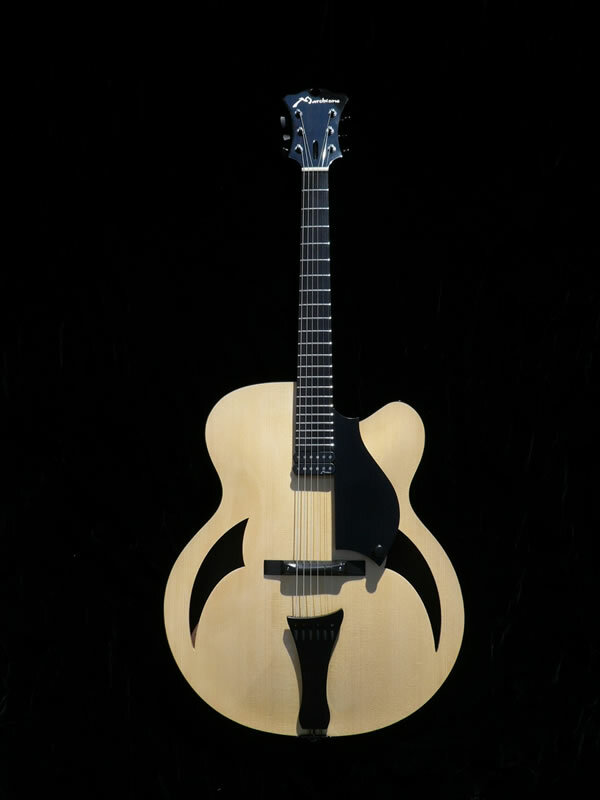 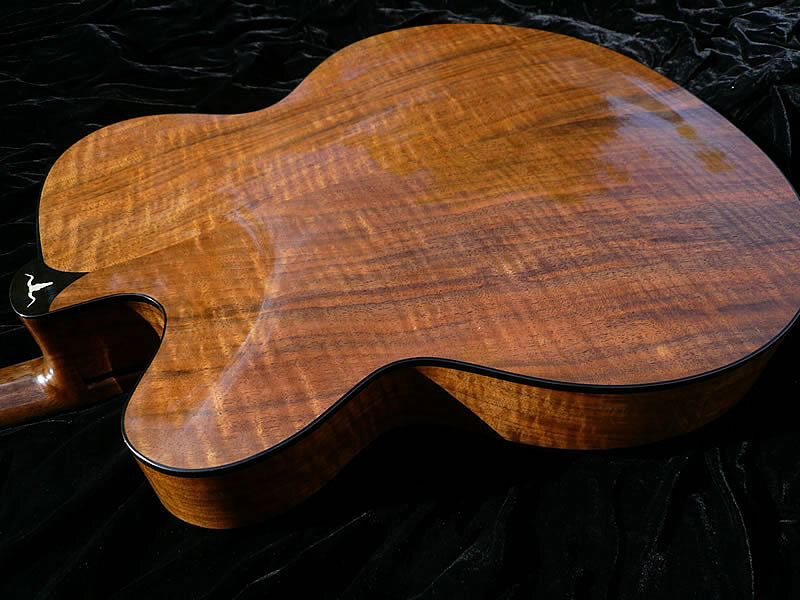 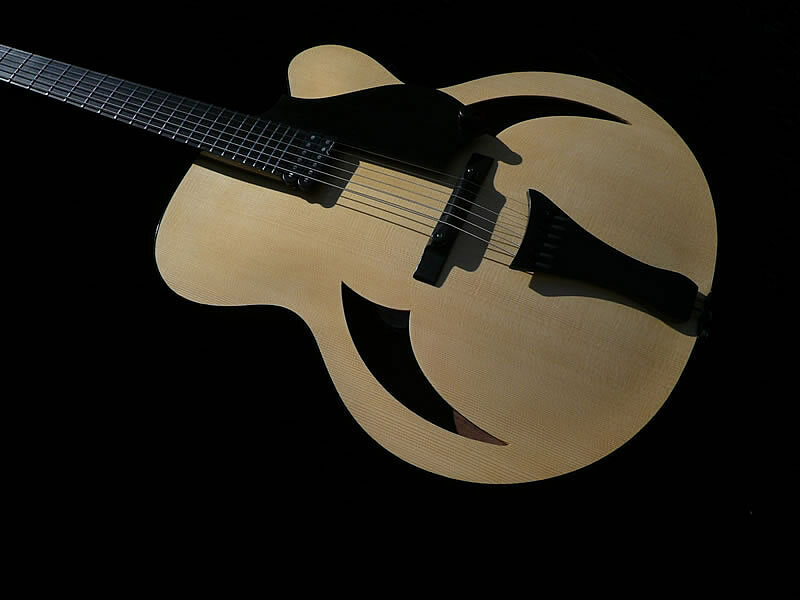 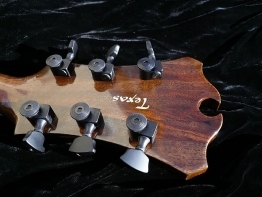 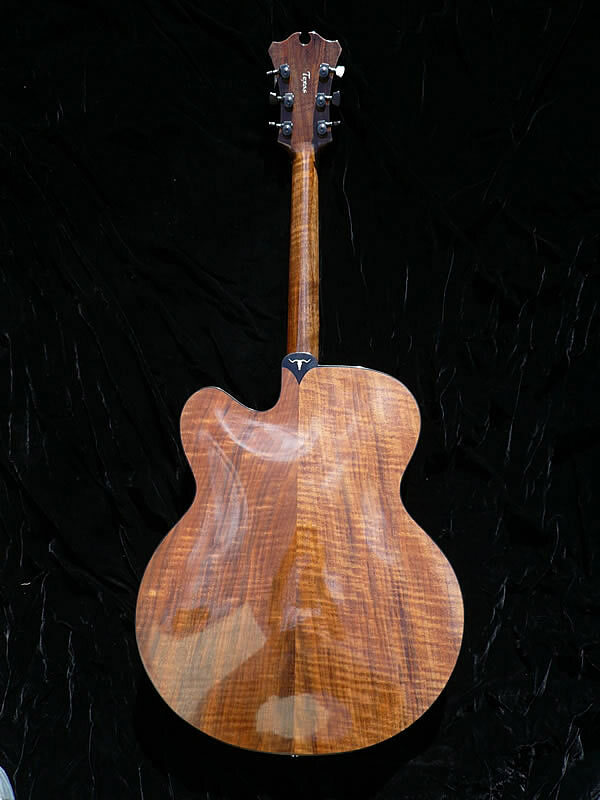 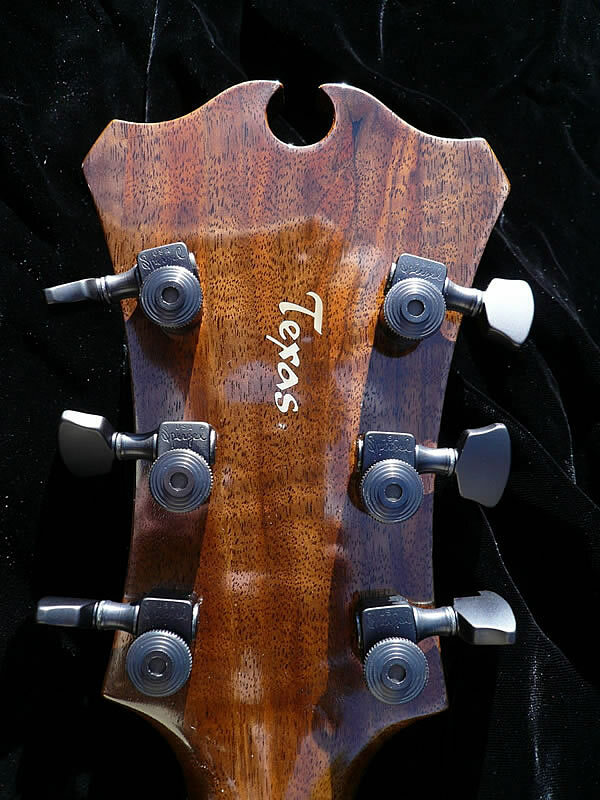 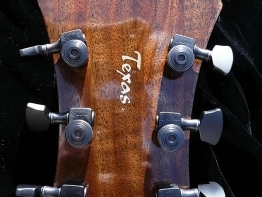 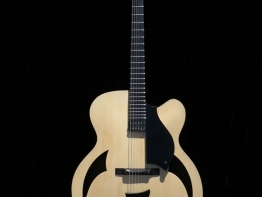 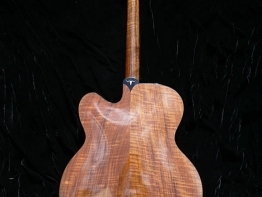 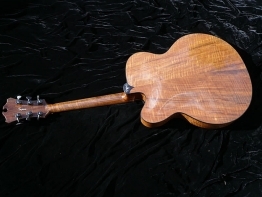 The “Texas” guitar is a bold execution of my 18″ Archtop guitar. It’s crafted in old growth Walnut, Ebony and high alpine Italian Spruce. 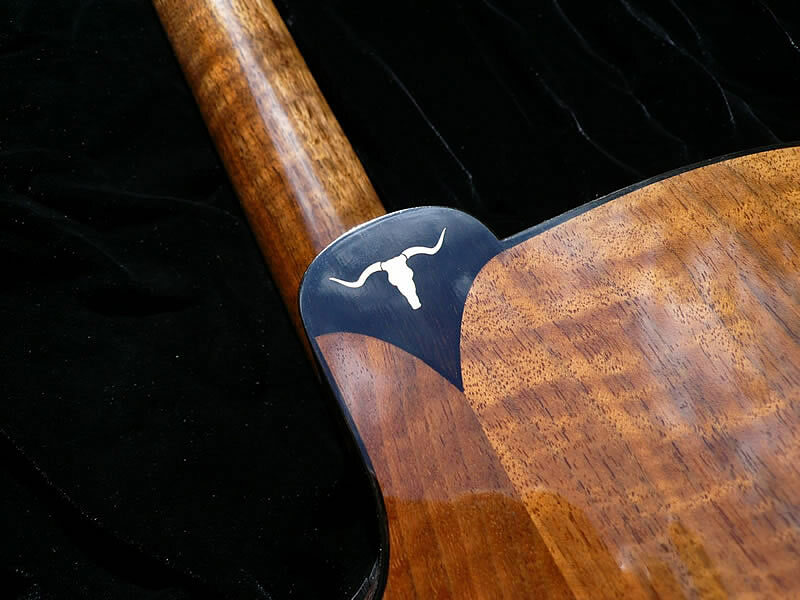 All inlay work is cut from Sterling Silver. 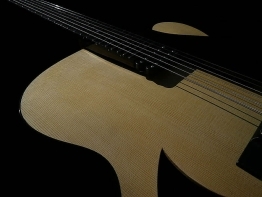 The guitar is carved to be a powerful acoustic instrument with a rich and complex voice. 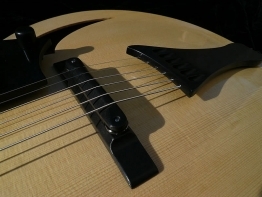 Additionally, the pickup transparently integrates your amplifier and effects. 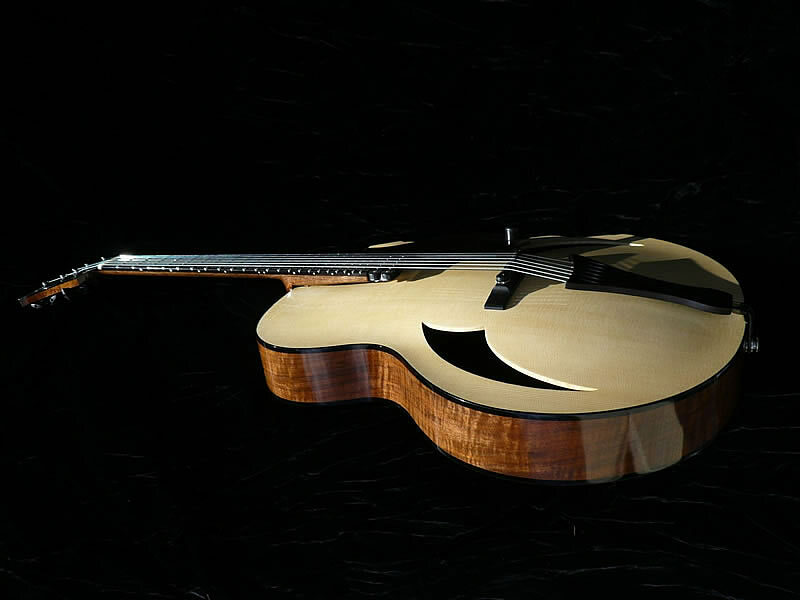 This is a guitar equally at home at an acoustic Bluegrass festival, a Texas swing jazz band or on stage at the Village Vanguard.